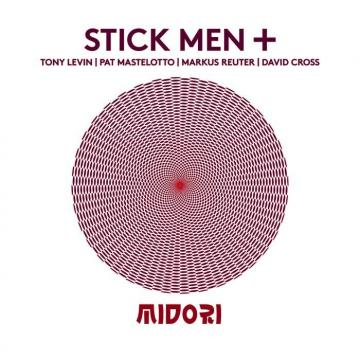 In April 2015, Stick Men put on four historic concerts in Japan, with special guest, legendary King Crimson violinist David Cross. 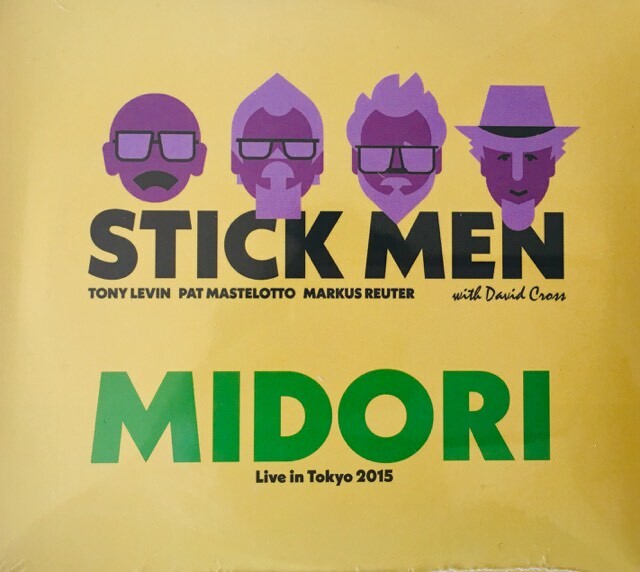 The live recording of the 2 Tokyo shows, titled Midori, is now available through MoonJune's BandCamp and on the upcoming tours of Stick Men. "These are players who know the value of dynamics, never stop listening to each other, and understand that leaving space is as important as filling it. Midori is one instance where an un-tested chemistry goes fleetingly, beautifully right" - Geno Thakara: All about Jazz, March 2016. Note: PayPal prices shown below include postage and packaging for your chosen location. 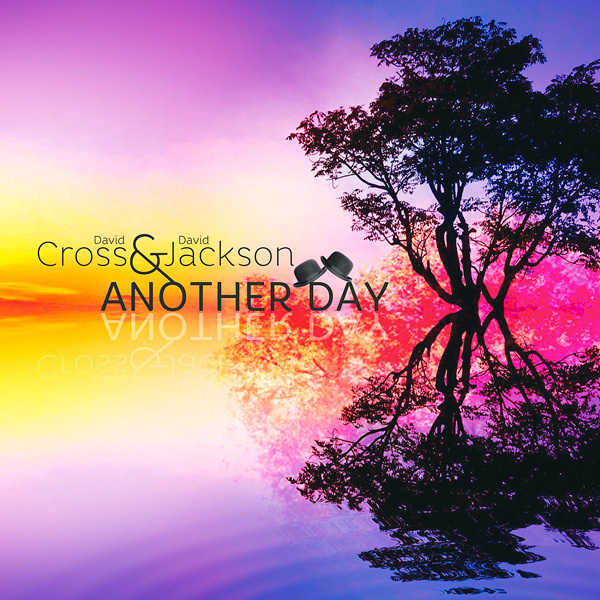 The new 'Another Day' project once again allows Cross and Jackson to flex their not inconsiderable musical muscles to huge effect. This new studio album, features Mick Paul on bass, Craig Blundell on drums and was produced by Jake Jackson. The 12 new tracks on this album showcase the talents of Cross & Jackson and will appeal to the fanbases of both artists and the bands they have been in. It’s an innovative meeting of minds. 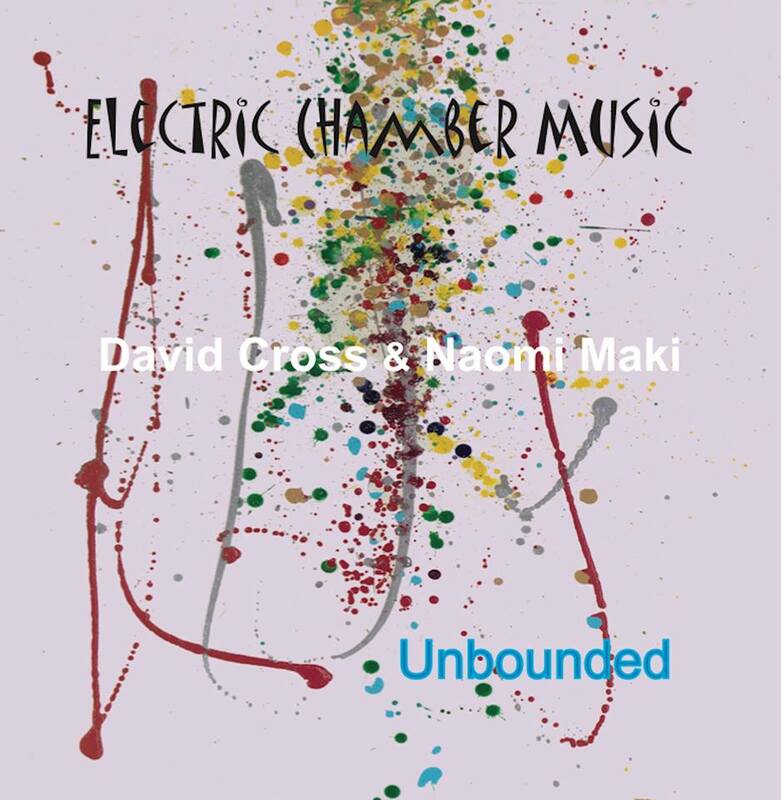 'Unbounded' - the first Electric Chamber Music was released in 2006 is now available from Noisy Records as a downloadable album on Bandcamp. Styed in the categogy of Contemporary Jazz, this release was a fantastic and successful collaboration with the the Japanese pianist and singer Naomi Maki. Being Cross’ is available on Bandcamp - the music for this downloadable album was selected by Dr. Bernie Quiroga from releases spanning the years 1986 to 2016, with contributions from the David Cross Band, Low Flying Aircraft and my Electric Chamber Music collaborators Naomi Maki, and Andrew Keeling. Purchase at Bandcamp Includes unlimited streaming via the free Bandcamp app, plus high-quality download in MP3, FLAC and more. 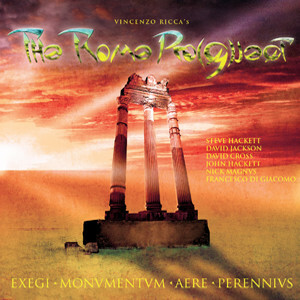 One and a half year after the huge success of their second album “OF FATE AND GLORY”, “The Rome Pro(G)ject” released their third CD Album "EXEGI MONVMENTVM AERE PERENNIVS", 57 minutes of instrumental progressive rock in 10 tracks plus three unreleased tracks as a bonus. As per its title, translated as "I RAISED A MONUMENT MORE LASTING THAN BRONZE", the possibly final chapter of The Rome Project saga is an instrumental concept album about the end of the Roman Empire and the awareness that “non omnis moriar”, - not everything dies! Not coincidentally, the CD album was released on Dec. 7th, 2017, the same day TRP released their first CD album five years ago. 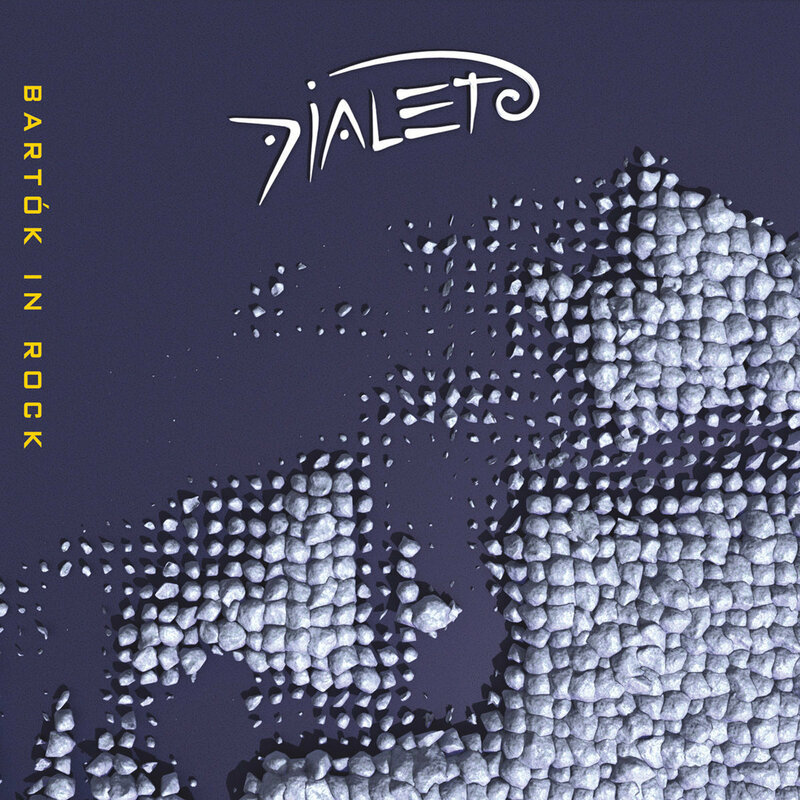 Bartók in Rock, as the name suggests, is a set of Béla Bartók compositions freely adapted by the band to their particular rock language, full of intense improvisations. The album features also a collaboration from David Cross, former violin player from King Crimson on track 1 "Mikrokosmos 113". "There is much talk these days, mostly for political reasons, about the purity and impurity of the human race, the usual implication being that purity of race should be preserved, even by means of prohibitive laws." 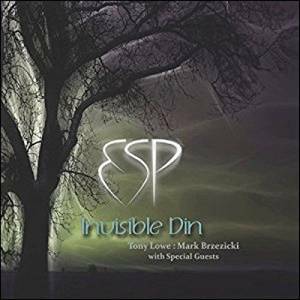 ESP – ‘Invisible Din’ is a unique symphonic, progressive rock concept album – a collaboration with musicians from King Crimson, Van der Graaf Generator, Big Country – Procol Harum, GTR, Lifesigns, and Landmarq, among others. 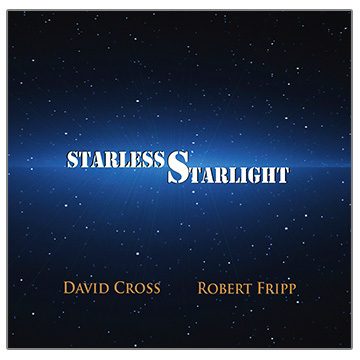 Released on 11th November 2016, the music is written and produced by Tony Lowe who recently co-produced the ‘Starless Starlight‘ album by David Cross & Robert Fripp and ‘Cold Reading‘ by Bram Stoker. Contributors on the album are; Tony Lowe, Mark Brzezicki (Big Country, Procol Harum), David Cross (King Crimson), David Jackson (Van der Graaf Generator), Phil Spalding (Steve Hackett, Mike Oldfield), Steve Gee (Landmarq), John Young (Lifesigns), Pat Orchard, Alison Fleming (Tony Lowe), John Beagley and electric harp from Yumi Hara (Daevid Allen, Hugh Hopper). Sign of the Crow is a hard-hitting CD, which shows the David Cross Band at peak performance. The core writing trio of David Cross, Mick Paul and Paul Clark have carved out a set of powerful rock songs offset by stunning metal edged instrumental passages. 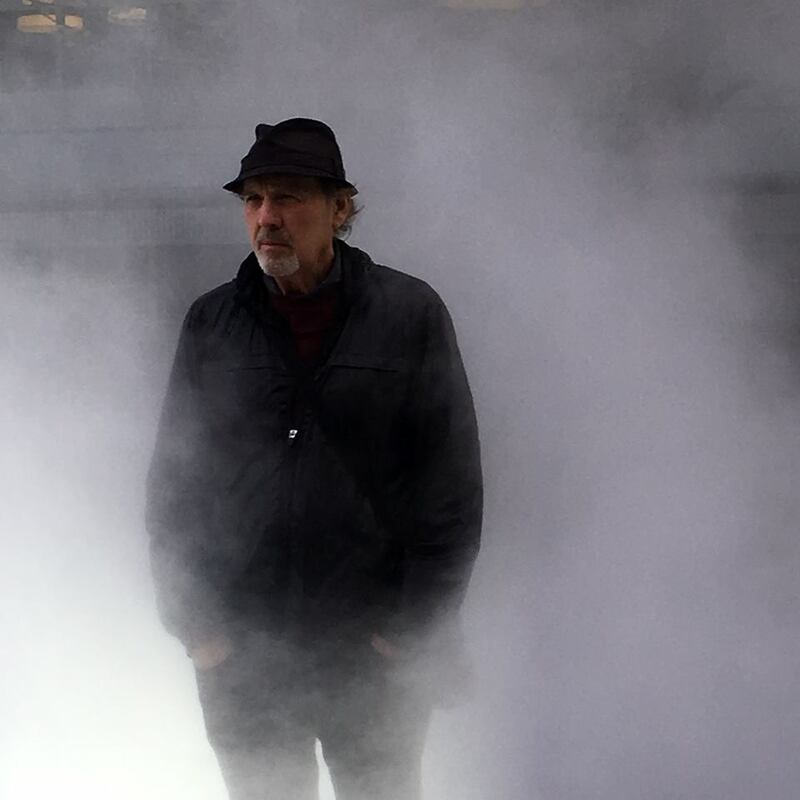 As with the previous studio album, Closer than Skin, King Crimson lyricist Richard Palmer James has created high impact lyrics, which on this album are both dark and beautiful. 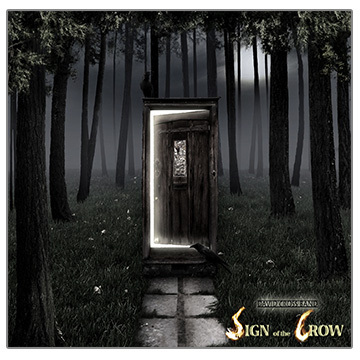 The titles of the tracks evoke big events and big feelings - Starfall, Sign of the Crow, The Pool, Spiderboy - this is progressive rock at its very best! Two members of the groundbreaking mid 1970s King Crimson line-up unite on a fascinating album length exploration of a melody that emerged as one of the key themes on the King Crimson masterpiece, Starless. A beautiful and unexpected collision of violins and Soundscapes.